IUCN reported on concerns it has received over the Oyster Point development about which the Committee first expressed concern in 1995, and the potential damage to the World Heritage area from acid sulphate soils. The concerns relate to acid sulphate soils release, and to other proposed developments on the reef. IUCN considered it would be helpful to have a list of the Australian Government's actions to protect the Reef and an associated timetable. There has also been concern about a decrease in the Government's contribution to the budget of the Great Barrier Reef Marine Park Authority. Australia responded by advising that acid sulphate soils have been recognized as a potential problem along the whole Australian east coast for many years. The problem is not restricted to Oyster Point. At Oyster Point there are very stringent controls with extensive measures being taken at the site to ensure that acid sulphate soils do not damage the World Heritage values. Australia also pointed out that it is wrong to say that there is a broad development threat. In fact, there is now a regional plan which effectively controls development in the area. Australia has also recently restricted certain types of fishing on the Reef to protect the dugong. In responding to the request for a timetable of actions to protect the reef, Australia advised that it believes this has already been provided in various reports by Australia and that Australia will continue to provide such information. 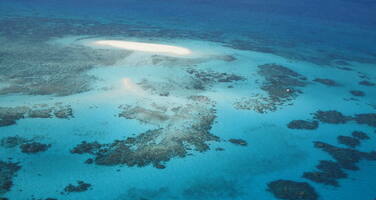 A financial review of the Great Barrier Reef Marine Park Authority to assess funding levels is currently underway. Introducing its written report on the state of conservation of natural World Heritage properties, IUCN supplemented this with a verbal report on more recent developments in Australia. IUCN recalled previous discussions of the Bureau and the Committee on the future of forested public lands adjoining the Tasmanian Wilderness World Heritage Area and the response at that time by the State Party that World Heritage issues would be taken into account in the negotiation of a Regional Forest Agreement between the Governments of Australia and the State of Tasmania. The IUCN Representative said that a World Heritage Expert Panel had reported in June 1997 to the two Governments to facilitate consideration of World Heritage issues. This report and extensive data bases should ensure that information on World Heritage potential would be available when decisions are made in finalizing the Regional Forest Agreement due to be completed by 30 June 1997. The Bureau decided to commend the State Party on the comprehensive approach adopted and to invite the State Party to report to the Centre on the outcome relevant to World Heritage by 15 October 1997. IUCN also commented favourably on the manner in which World Heritage cultural and natural values are being taken into account in the preparation of a new management plan for the Uluru-Kata Tjuta National Park, including a workshop held on 16 June 1997 with the Anangu people (traditional and legal owners of the Park) and Park staff on the implications of World Heritage status on visitor management. Issues raised in the IUCN report on other sites, i.e. Great Barrier Reef, Kakadu National Park and Shark Bay, noted a number of positive decisions taken, particularly those aimed at conserving dugong habitats in the Great Barrier Reef. The Delegate of Australia commented in detail on all the issues raised in the IUCN report about Australia and suggested that IUCN seek official comment from the Australian government as the next step. She also expressed concern at the lack of time to consider and respond to the report and requested more advanced consultations with the State Party to permit dialogue on the issues raised. Concern at the late tabling of the report was also expressed by the Delegate of Germany. The Delegate of Australia assured the Bureau that the State Party would continue to maintain its commitment to respect the integrity of its World Heritage sites. The Chairperson ruled that the issues raised in the IUCN report should not be further considered at this meeting, because in many cases the States Parties had not been given the opportunity to examine the issues raised, to verify their accuracy and to respond.